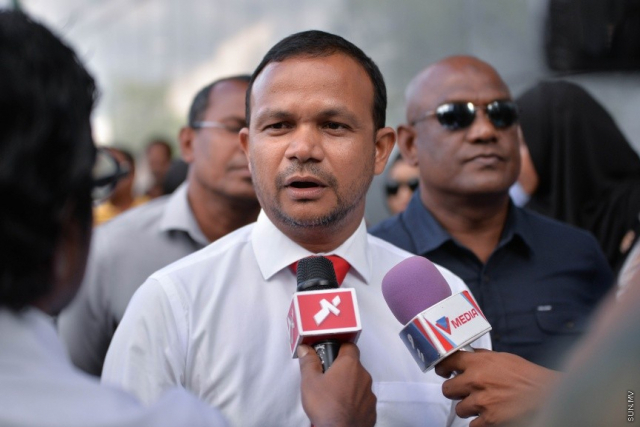 B. Kendhoo MP Ali Hussain, who was arrested during the opposition’s demonstration in Male’ City last Saturday night, has been released from police custody. Ali Hussain was arrested by the police from near the Chaandhanee Magu-Majeedhee Magu junction, as the opposition’s demonstration drew to a close. He was released after hours in police custody. Saturday night’s demonstration began from the MDP Haruge. Protestors were dispersed using pepper spray at midnight. Some opposition MPs were also arrested, but later released by the police during Friday’s demonstration in Male’ City.